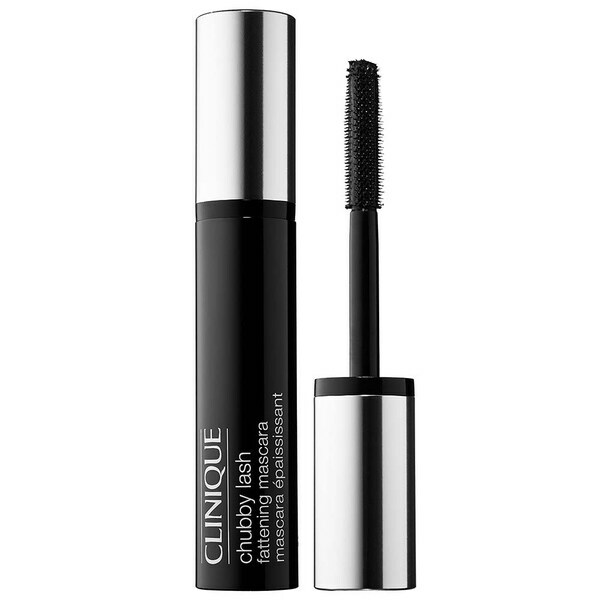 Clinique Chubby Lash Fattening Mascara 01 Jumbo Jet 0.3oz / 9ml Clinique's lightweight, Chubby Lash Fattening Mascara coats lashes from root to tip for immense volume, and it doesn't clump, flake, or smudge. Featuring an oversized volumizing brush, it transforms lashes from fine and faint to gorgeous and bold. Pigment-enhancing ingredients create rich, intense colors so that it's easily buildable to achieve the look you want.